From sports to muscle cars & even Marvel superheroes, all action lights crash through your wall to shine into your room! 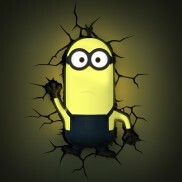 Crashing straight from the movie screen and through your wall, welcome your very own Despicable Me Minion into your home. 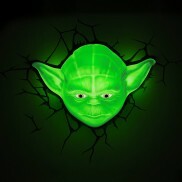 In a galaxy far, far away the most loved Star Wars Jedi Master Yoda crashes through your bedroom wall to shine the Force into your room. 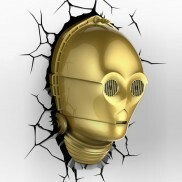 A loyal friend to watch over you at night, Star Wars' C-3PO appears to have crashed through your bedroom wall!